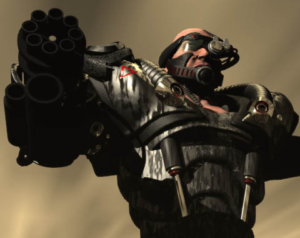 This article will examine some of the human upgrades from Command & Conquer, including the Mutants, Cyborgs, and Clones. In the context covered here, mutants are humans genetically modified intentionally to increase their normal physical attributes. In the Tiberium universe, this is mainly done through tiberium infusion. 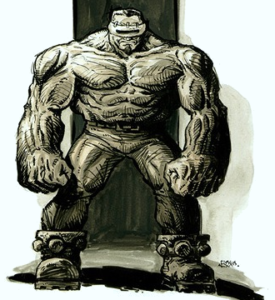 The Brutes in Yuri’s Revenge can be trained as regular infantry or spontaneously mutated from any human unit using the Genetic Mutator superweapon. Modern genetic engineering is still only taking its first steps, despite ongoing research for decades. While the real world isn’t close to genetically modifying supersoldiers yet, there is no reason to doubt that it will be possible some day. Human bodies are very weak and slow compared to most animals, instead having vastly improved intelligence. Mutants are just reversing this balance to make humans more animal-like. There are still unavoidable downsides to mutants though, including additional energy requirements and worsened heat control. Together, these will lead to poor stamina. In both universes, the mutation occurs very quickly, but far more quickly in Yuri’s Revenge. The Genetic Mutator transformation happens too fast, there is no way cells can acquire sufficient mass or replicate at that speed, and no twisting of logic can save it. Giant kelp is one of the fastest growing organisms on Earth, and it only gets longer by about 60 cm (2 ft) per day compared to a normal human turning into a fully-formed Brute in mere seconds. Tiberium accelerated growth is abnormal, but not necessarily impossible, considering the body is already being heavily manipulated during the process anyway. One problem with human cells replicating at a faster rate is that they tend to become cancerous. Mutants are probably considered disposable however, so a short life expectancy might not be much of an issue. Acquisition of mass could be lessened in the case of tiberium infusion as well. 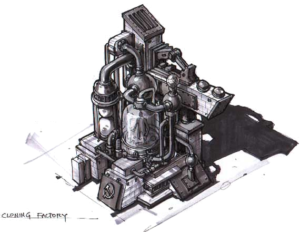 Tiberium itself has the innate ability to leech resources, which might allow it to extract more from food, from traditionally inedible materials, and possibly even out of thin air. While humans normally dump extra carbon their body doesn’t need in the form of carbon dioxide out the lungs, plants remove carbon from the carbon dioxide and combine it with water during photosynthesis to manufacture usable compounds. This process is called carbon fixation. Tiberium is known for growing very quickly and can be plant-like too, so it is within plausibility that tiberium and tiberium-based organisms may be capable of carbon fixation as well. The specifics of Cyborgs within the Command & Conquer universes are difficult to pin down, as the augments themselves were never really explored in any of the games, and even the technology in general was barely touched upon. What can be observed of the augments seems within the scope of reality. Cyborgs do not possess physics-defying speed, strength, or agility. The upgrades appear to primarily consist of weapons and hardened exoskeletons for protection. In fact, rather than the mechanical parts, it is the biological component is the most unusual aspect. 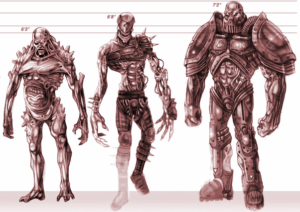 In Tiberian Sun, unwilling victims were being turned into cyborgs, but they seemed to lose their humanity and gain unfailing loyalty to the Brotherhood in the process. Tiberium Wars added some clarification to the process, stating that the Cyborgs were actually reanimated corpses, which explained the drastic change in their personalities, but at the same time, raises a lot of new issues. The biggest question in using a corpse is why even bother? One possible answer might be to cut production costs, as the human body can provide an essentially free basic mobile frame which can then be upgraded. However, while the body can be sourced for free, its continued use would come with new costs. For a human body to function, it needs to be “alive,” at least in the sense that blood is flowing and the tissue isn’t undergoing necrosis. The tissue will start dying as soon as the heart stops pushing fresh blood, so the corpse would need to be preserved from the moment of death. While the body can be artificially sustained without the brain, that would mean the cyborgs’ augments would need to include an entire portable life support system. But possibly, the intention is not to use the body at all, and only the brain is used with just enough of the organs left to keep it “alive.” While this might allow for a less fragile body of the cyborg, the level of technology required to reprogram a dead brain would be tremendous. Since the cyborgs seem to think and behave more like machines than humans anyway, the whole point in using a human brain is pretty questionable. It would seem just building a complete android without any biological components would make a lot more sense. Cloning is a major mechanic in Red Alert 2, featuring the Cloning Vats, clones of Yuri, clones of Yuri Clones, and clones of everything else, including the one true Yuri. Cloning returned in Red Alert 3 with Yuriko, who is revealed to have clones in the main campaign and Uprising, while multiple Yuriko clones appear to power the Psionic Decimator weapon. The cloning process isn’t mentioned in very much detail in Red Alert 3, so it is difficult to compare to reality. In Red Alert 2, the Cloning Vats eject a cloned infantry at the same moment as the original exits the barracks. From this, it can be said that their clone is formed in the same amount of time as it takes to train a soldier. In a wartime scenario, training a soldier will take about six months. Maybe to be fair, the time requirement during peace could be used, but it doesn’t really make much difference, even being generous, the clones seem to be grown no less than five times faster than normal human development. As was mentioned above concerning mutants, accelerating cell division is probably going to make your lifespan pretty short, so these clones are likely just cancer-ridden cannon fodder who will never see the end of the war, whether they meet the scary end of an enemy weapon or not. Once the body has been rapidly formed, it still lacks the knowledge of the original. The transfer of consciousness is no small task, however this is Red Alert, where there are psychics. If a psychic can mind control nearly any human in an instant and force them to do anything, including killing their former friends and themselves, then making a mindless clone act like a fully trained soldier probably isn’t too much more of a stretch, so this aspect at least can get a pass. Unfortunately, the faceless clones suspended in tanks of mysterious liquids presents another problem. Growing a clone from zygote to adult in six months isn’t sufficient, all of its muscles would be completely atrophied useless wet noodles. Floating the body in a buoyant liquid would be worse than making it lie flat where it still has to support its own weight against the weak pull of gravity. Being big enough and knowing how to shoot a rifle isn’t very useful if the clone’s finger lacks the strength to even pull the trigger.